Let our passion be your pleasure. An Iconic Italian coffee with an unmistakable aroma to kick start and energise your day. A selection of Brazilian Arabica beans and Robusta mainly from Africa and South East Asia. The traditional recipe, for true coffee connoisseurs. Suitable for all coffee preparations after grinding. One delicious cup, and you'll know why it's Italy's favourite coffee. 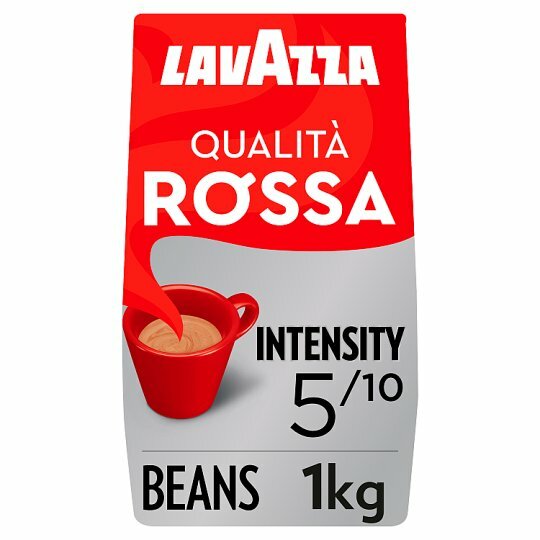 Add Lavazza coffee to a warmed cafetière, 2 rounded dsp for a 3-cup cafetière (5dsp/8cup, 8dsp/12 cup). Fill with hot, not boiling water to an inch from the top, stir, replace the plunger and allow to brew. When you see the coffee grinds begin to settle (approx. 3 min), push plunger down slowly and serve immediately.